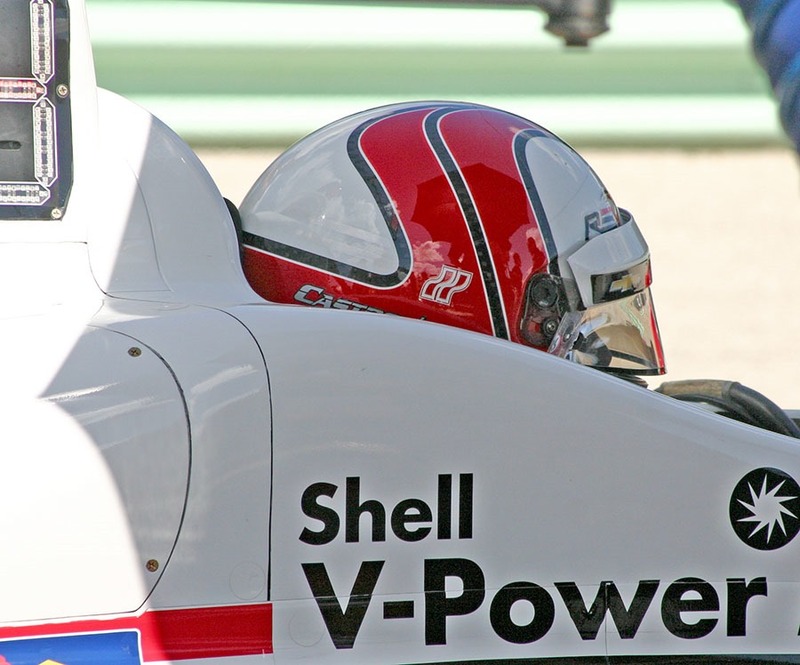 It looks like Roger Penske came to Road America with one goal – winning! 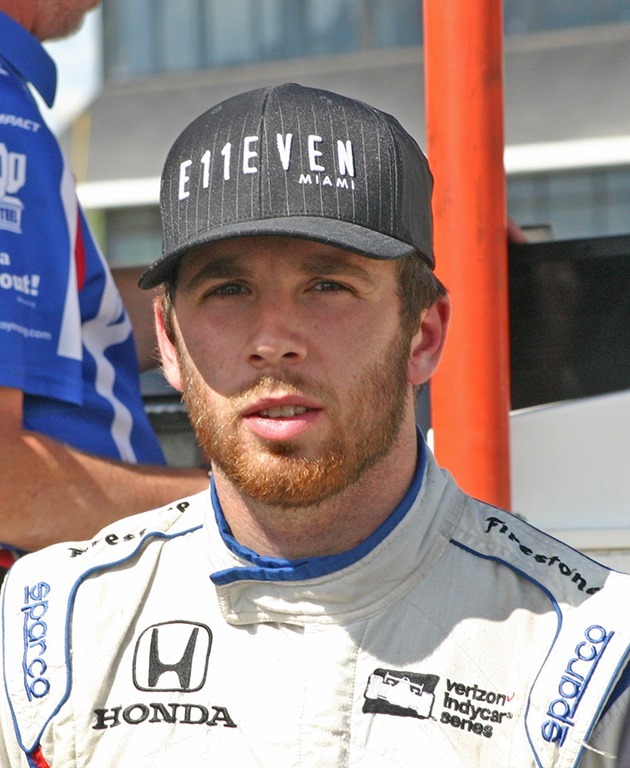 After a forgettable Indianapolis 500 and an embarrassing showing in the Detroit Grand Prix at Belle Isle, Team Penske got back on the winning track at Texas, when Will Power led 180 of 248 laps on his way to victory. It looks like Team Penske is not letting up. They have dominated practices and now qualifying. 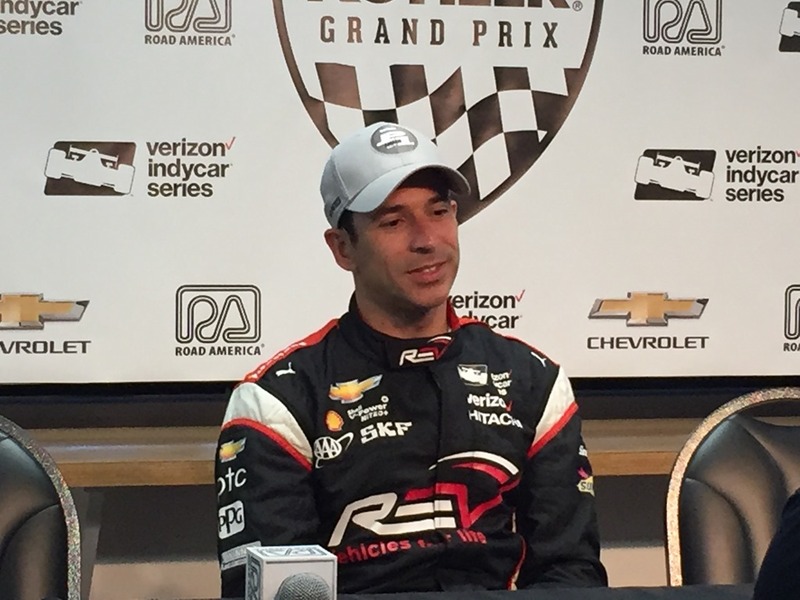 Helio Castroneves won the pole for tomorrow’s Kohler Grand Prix at Road America. In doing so, he led a Penske sweep of the front two rows. 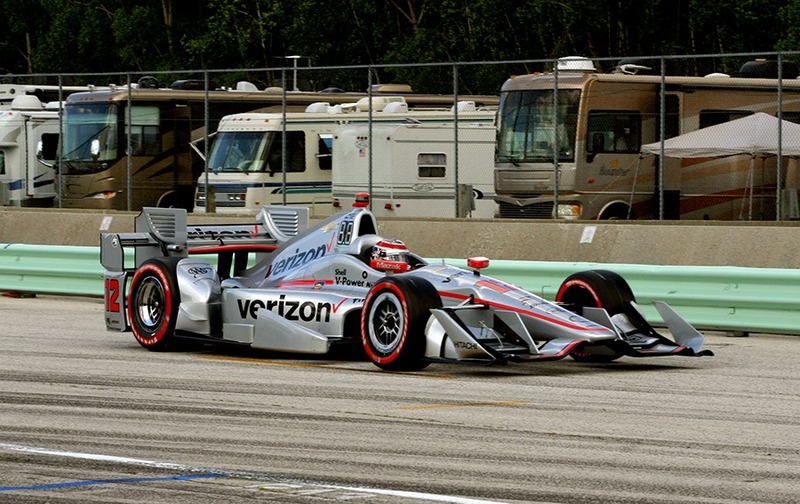 Will Power will start alongside Castroneves on the front row, followed by teammates Josef Newgarden and Simon Pagenaud. 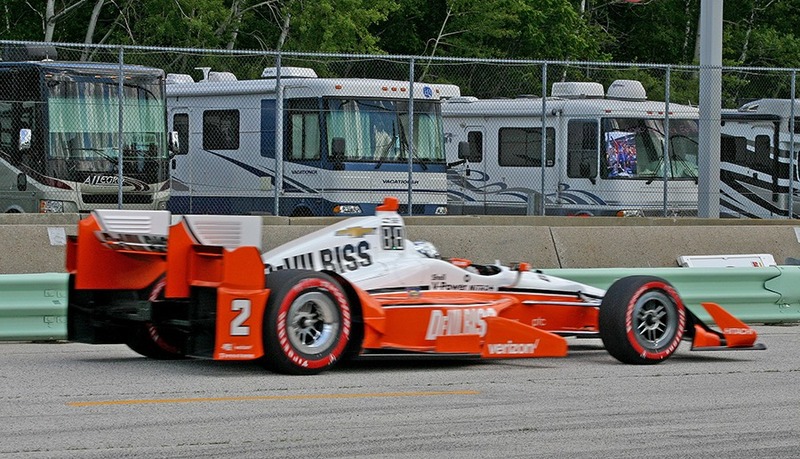 Scott Dixon and Graham Rahal share Row Three as the only non-Penske drivers in the Firestone Fast Six. 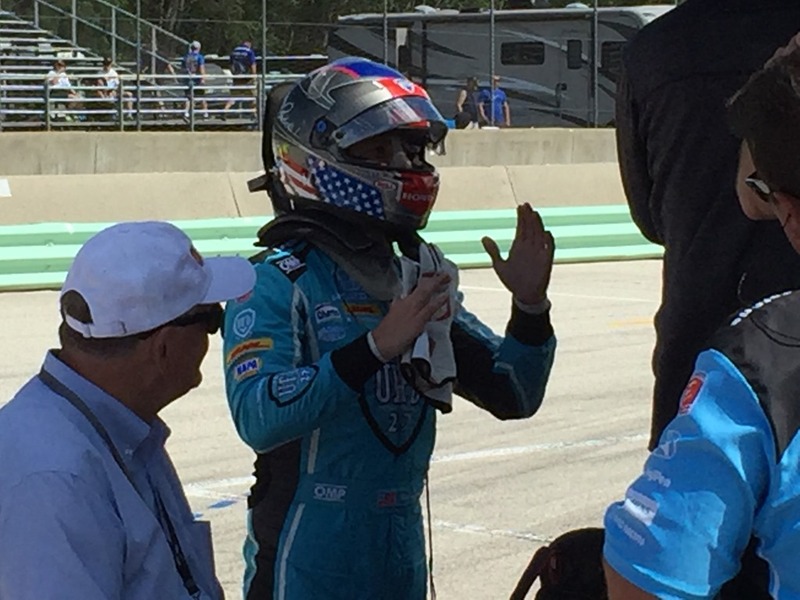 Max Chilton, Marco Andretti, James Hinchcliffe and Charlie Kimball round out the starting Top-Ten. 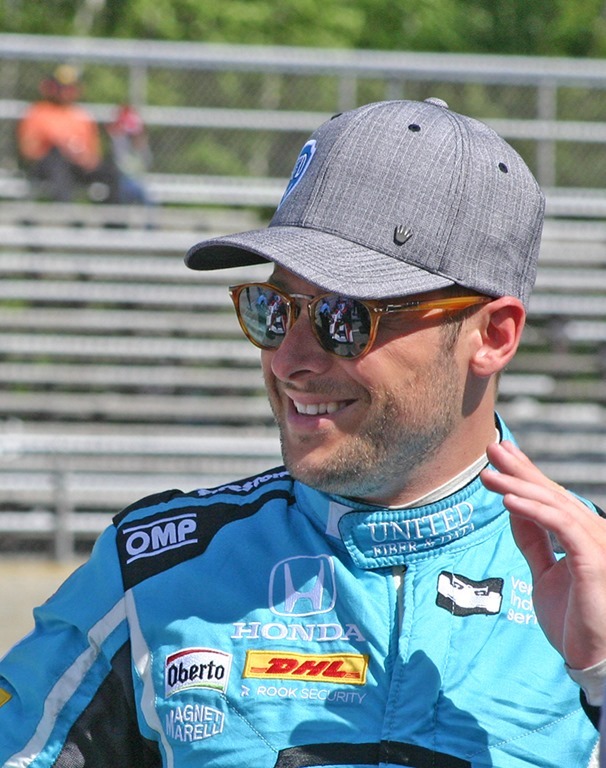 The biggest disappointments in qualifying were Ryan Hunter-Reay who starts twelfth, Alexander Rossi who rolls off on fifteenth and Tony Kanaan who wound up sixteenth on the grid. We went out to the famous Turn Five this morning to watch practice. I got a short little video to give an idea of the sounds and feel of turn five as they slam through the gears after the long Moraine Sweep before the slow left-handed Turn Five. Once the drivers negotiate Turn Five, they get back on it as they climb the hill toward the Corvette Bridge. Just beyond the bridge lies another left-hander that leads to Hurry Downs and the famous Carousel turn. What I found interesting was watching the different lines that drivers took. 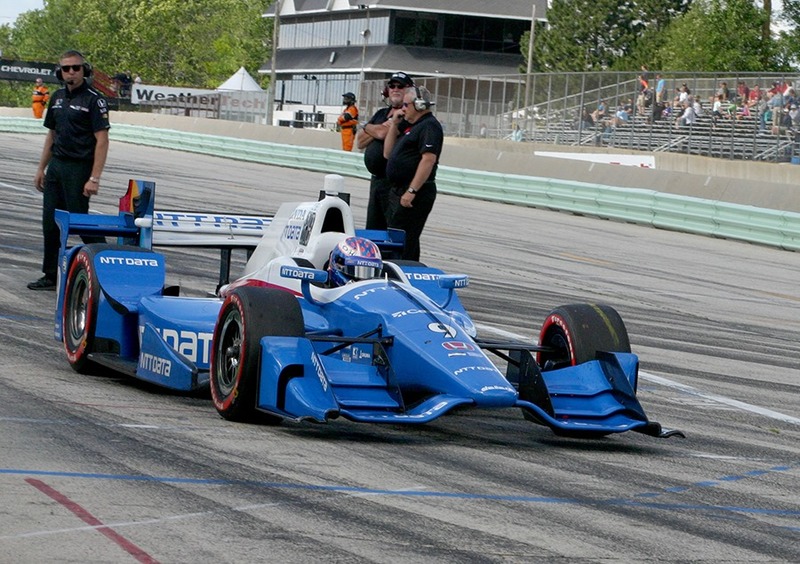 It seemed like Scott Dixon barely got a wheel onto the runoff area, while some of the less-experienced drivers got practically their whole car off. 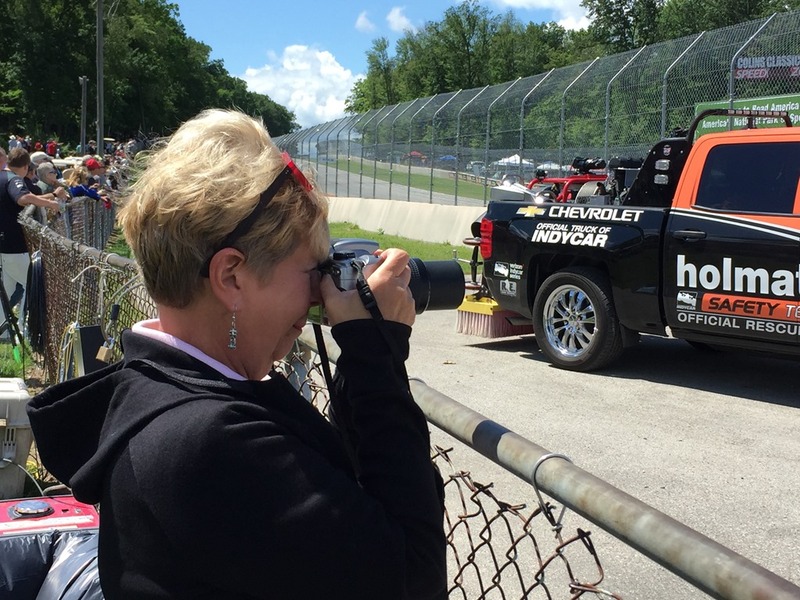 Susan took all of the photos from Turn Five. The only picture I took there was of her. 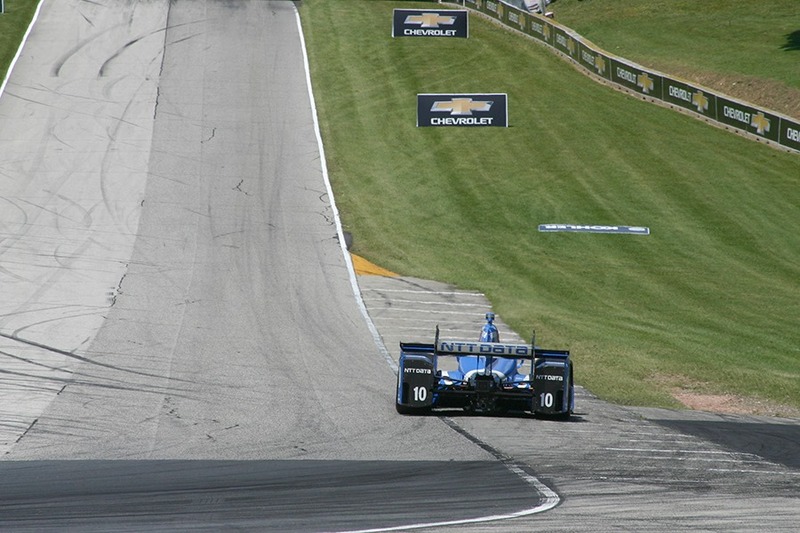 Even the more experienced Tony Kanaan was caught getting about half the car off in this picture Susan took. 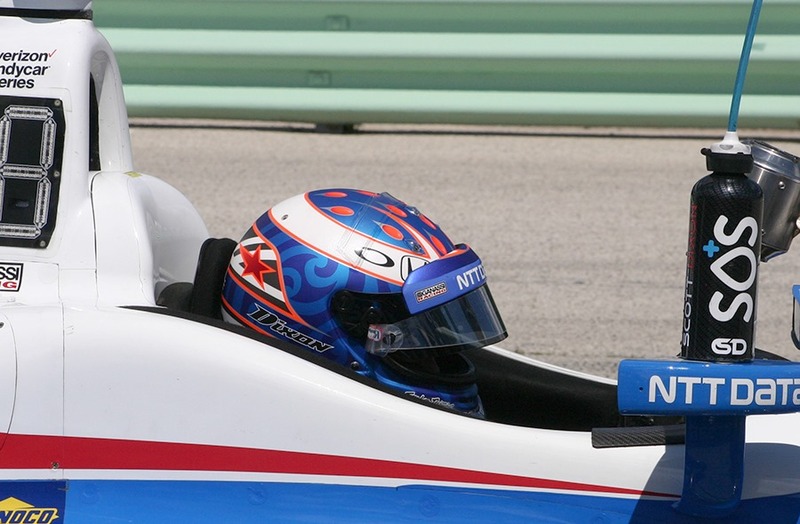 Here are various shots from practice and qualifying today. The race starts at noon tomorrow. We will be here extra early. As I recall, parking was becoming a problem by the time we got here on Sunday morning, so we will be on the grounds early. That will do it for us tonight. We are going to a place near the track that a local has recommended for dinner. Please check back tomorrow and thanks for following along. This entry was posted on June 24, 2017 at 5:55 pm and is filed under IndyCar. You can follow any responses to this entry through the RSS 2.0 feed. You can leave a response, or trackback from your own site.